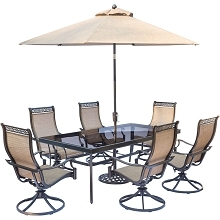 The Traditions 4-Piece Fire Pit Lounge Set showcases durable finishes and a timeless aesthetic that is truly handcrafted with detail and state-of-the-art construction. 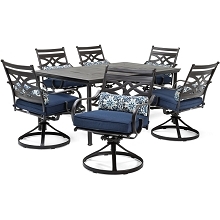 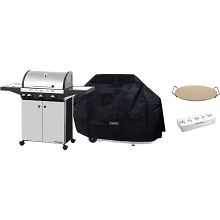 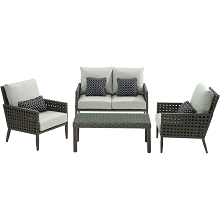 Included in this set are two deep-seating rocker chairs, one crescent-shaped sofa and a LP gas fire pit table. 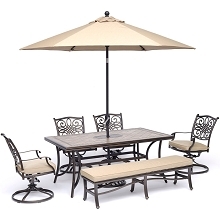 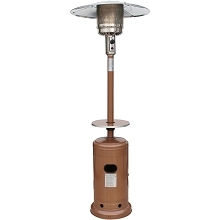 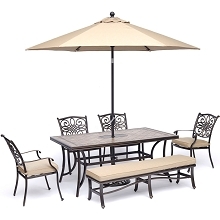 This collection is handcrafted with durable all-weather construction and aluminum framework that is naturally rust-resistant and fully welded with ornate cast details. 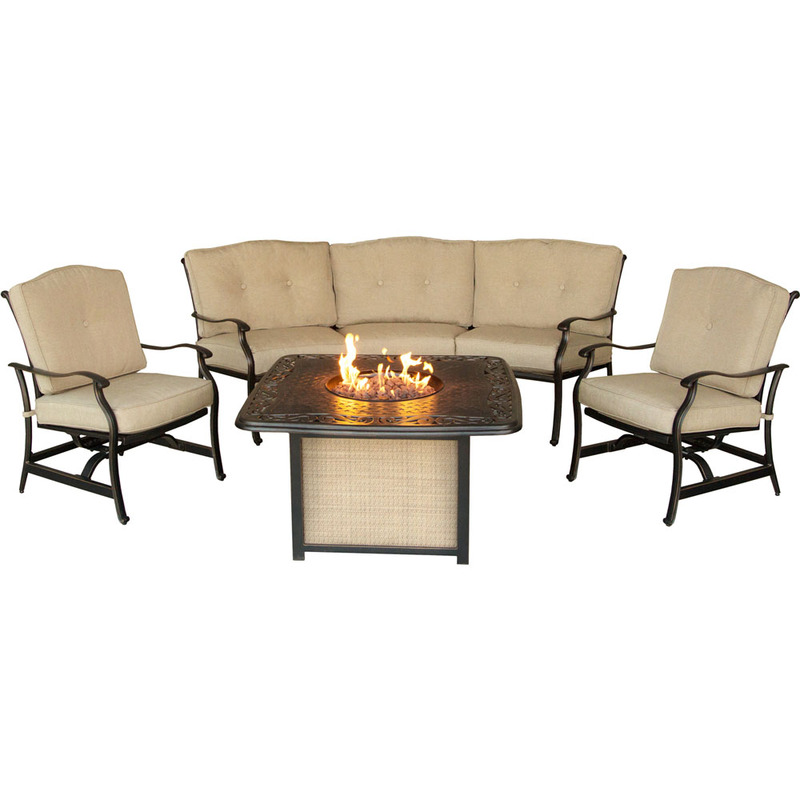 The crescent-shaped sofa is curved to take up less space while seating more guests around the fire. 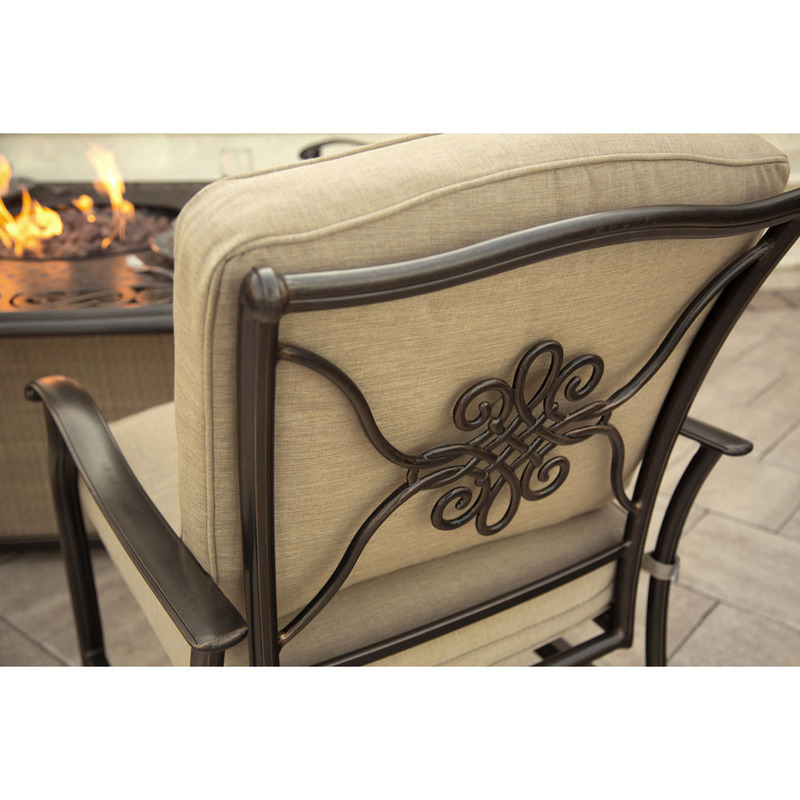 Plush, all weather cushions are securely bound to each chair with hook-and-loop fasteners. 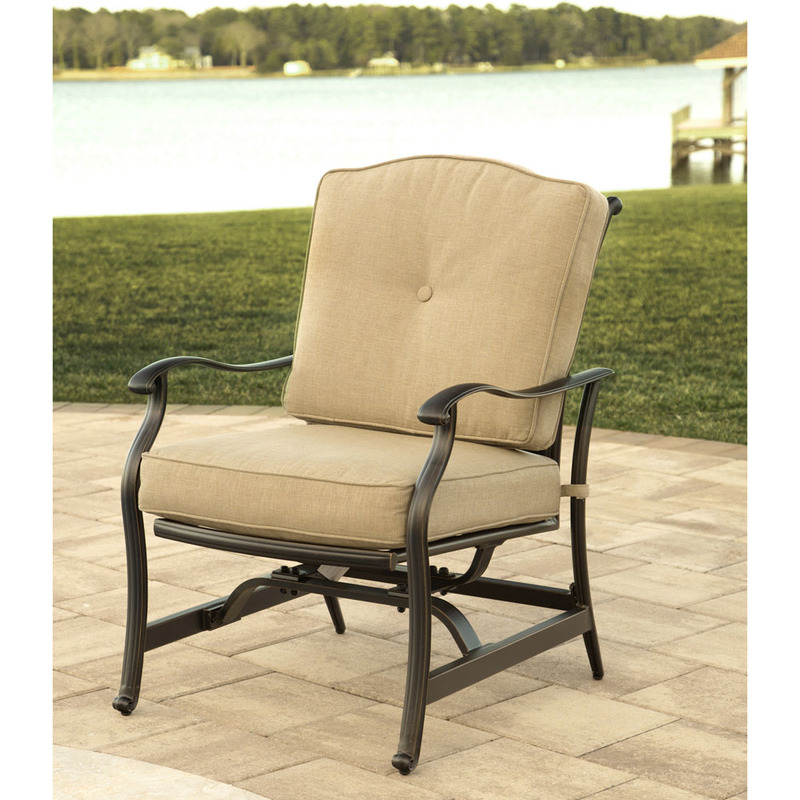 Each cushion is made with premium olefin fabric treated to resist moisture, staining and UV harm. 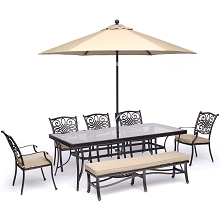 The cast aluminum table-top is finished with an antique bronze coating that features an intricate design similar to the dining tables in the Traditions collection. 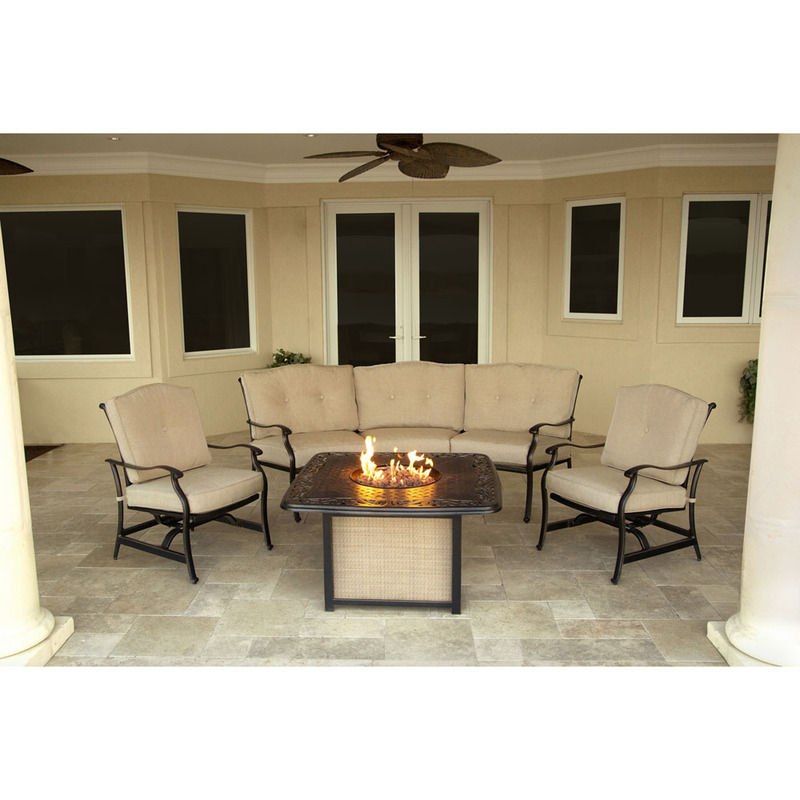 A protective fire box cover is included for an easy conversion into a full coffee table.